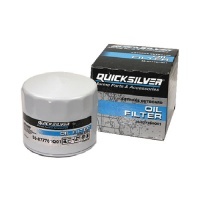 Quicksilver's all new 4‑Stroke oil technology outperforms automotive oils in marine applications because of its specialized additive package designed for marine engines. The NEW mineral 4‑Stroke oil is also now approved for use in all Outboard Engines; previously only our synthetic blend could make this claim. 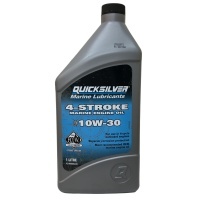 • For use in all 4‑Stroke Marine Engines ‑ New formula 4‑Stroke oils are engineering approved for use in certain marine 4‑Stroke Outboard applications and exceeds all Marine industry 4‑Stroke oil requirements including FC‑W and FC‑W Catalyst Compatible. In addition, all 10W30 & 25W40 oils are now fully FC‑W Catalyst Compatiable. • The most recommended Marine Oil ‑ Over 5 years of engineering and development by the largest marine engine manufacture in the world. 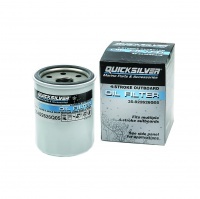 10W30 is recommended for certain operating temperatures and manual start applications.